I'm spending the week attempting to catch up on things, but still so far behind, and getting more behind. I spent a week stitching these Christmas Floral Embroideries, which was definitely a week well spent, but I let all else slide while I did that. I am so not a multi-tasker. I was trying to think which was my favorite. The little bird? Maybe. Definitely a cutie. But I really like the reindeer too. I like them all! 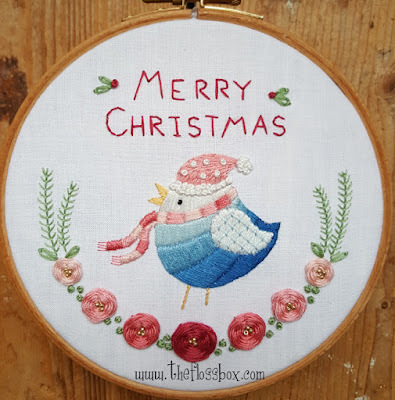 They were each fun projects to work on and not at all difficult stitching, but even so, they were still interesting to work on!